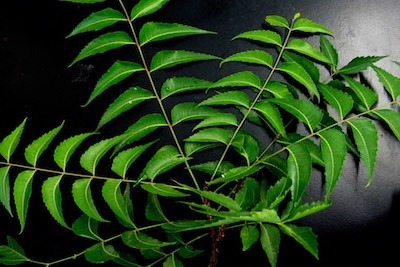 The Neem Tree (Dogonyaro) is an evergreen tree that is part of the mahogany family and is a common feature of the drier regions of India, Southeast Asia and parts of Africa. Neem bark, leaves, fruit, seeds and oils all contain medicinal qualities. Many of these qualities play an important role in healthy skin care. It is a very common tree in Nigeria that has been in use for so many years. Almost all parts of the tree are used for medicinal and beauty purposes. The products are believed to be anthelmintic, antifungal, antibacterial, antiviral, contraceptive and sedative. I remember way back in Nigeria when we were kids my mum used to boil the leaves and ask us to drink the liquid for the treatment of malaria. Bitter and horrible as it was it did the magic, in less than no time the malarial attack disappeared. And that is to say that personally I have tested it and it can be trusted. However I would outline its multiple purposes that you may not have known. After which I believe that you the reader would thank me later. Even though I am a healthcare professional of modern day medicine I do not underrate the efficacy of alternative medicine, especially that which has to do with nature. Among the various compounds already isolated and studied from Neem tree, azadirachtin (AZA) was identified as the main bioactive compound. Azadirachtin can be found at different parts of the Neem plant but assumes its maximum concentration at the seed level. This compound features a quite complex chemical structure, which justifies the 20-plus-year difficulty to identify the synthetic pathway that subsequently permitted to carry out its artificial synthesis. Azadirachtin is widely used as a basis for production of biopesticides; nevertheless, other properties have been recognized for this substance, among which the anticancer and antimalarial activity stand out. Cancer – Based on a systematic review of literature by Moga, Balan et al 2018 Neem has been used for centuries in Asia as natural remedy for cancer possessing chemopreventive capacity , apoptotic activities, immunomodulatory effects and induction of p53, independent apoptosis. Chicken pox – Spread neem leaves around patients and make him sleep over it for its soothing and anti-bacterial properties. It also cures people suffering from herpes and hepatitis B viruses. Asthma – Apply neem oil at the centre of the tongue, after weeks results will show. Ulcers – Neem bark extract has been found to be a curative for peptic ulcer disease. The bark extract when taken twice daily for 10 weeks almost completely heals ulcers. Diabetes – Neem contains chemicals that help reduce blood sugar levels. This herb has shown great evidence in naturally reducing the symptoms of diabetes. Neem acts as an insulin after being digested by the body. Boil a concoction of about 20 neem leaves in half litre of water till the leaves are soft and discoloured, and the water turns green. Strain and store in a bottle. Use this liquid as a skin toner by just dipping a cotton-ball into it and wiping your face with it every night. Regular usage will help in clearing acne, scars, pigmentation and blackheads. Applying this regularly will help you in getting rid of blackheads and also prevent them from coming back. To get rid skin infection, prepare the concoction as mentioned above and add about 100 ml of it to your bathing water. Neem has anti-inflammatory and analgesic properties that help in soothing the skin in case you are suffering from some skin allergy or infection. Boil the neem leaves & apply the water on the allergy after refrigerating it so that it cools down. Neem contains immune-stimulating compounds and regenerative properties that help the skin to fight pathogens below the skin surface thus keeping the skin remain supple. Applying neem oil on your face or adding neem powder to your face packs helps in soothing the skin and reducing the effects of aging. To reduce hair fall and to get rid of dandruff, boil a handful of neem leaves in 2 cups of water till the leaves changes colour and the water becomes greenish. Use this water as the last rinse after you shampoo your hair. The antiseptic and antibacterial properties of neem help in getting rid of dandruff keeping your scalp healthy and help in stimulating hair growth. An oil massage to the scalp using neem oil can increase blood circulation in the scalp and help in enhancing rate of hair growth. It can also be combined with oils like olive, jojoba, almond, coconut. It can also serve as a hair conditioner to moisturize the hair and prevent dryness. We all know that a beautiful smile is a girl’s best accessory. To make that smile even more special, use neem twigs to brush your teeth. This is an age old remedy that will not only leave your teeth shiny and white but will also keep dental problems like cavity, plaque and bad breath. I am sure I did this ways back when I was young. SURPRISING BENEFITS OF AZADIRACHTA INDICA (DOGONYARO OR NEEM) was written by a professional Italian nurse, Udo Elenwoke.